Needless to say, pulling all-nighters and cramming before exams aren't exactly proven study strategies. This is especially true when studying to become a medical assistant. When you are taking classes to become an MA, a lot of important information will be given to you at rapid pace. The training you receive is vital. This means study skills are extremely important to successfully complete your education. Luckily, a little bit a planning and a few good study habits can make a big difference. Good study habits start in class. So, show up and pay attention. Be sure to take notes, and jot down questions you have or concepts you need clarification on. This will let you know what areas you need to brush up on. Rewriting your notes makes them neater and easier to study from, and helps you remember the information. You can take it a step further by rewriting them in red ink on yellow paper. Studies show this color combination taps into the human cognitive system to better commit information to memory. It is more effective to space out your studying instead of doing it all at once before a test. Try setting aside time each day to study and review notes. Set your schedule and stick to it. You will retain the information better and will not have to stress out before an exam. The human brain needs direct attention to just one or two tasks at a time to be most effective. This means you need to turn off the TV and put away the phone when you study. You need to eliminate all distractions. Noise can be a big distraction too. So, turn down the music and opt for a quiet place to focus on your notes. Taking a well-deserved break during a study session will positively affect your retention abilities. Studies show taking breaks from studying can improve both focus and retention. The grueling task of studying can be easier when done with friends. See if any classmates have formed a study group. Working together will help you better absorb the material and make working through difficult concepts easier. Members of the study group also help hold each other accountable. Sleep is SO important. Lack of sleep is shown to have negative effects on your health. It causes impaired brain activity and cognitive dysfunction, and weakens the immune system. It takes a lot of hard work to do well in school, and a good night’s sleep can really make a world of difference. Now that you’re better prepared with these study strategies, what are you waiting for? 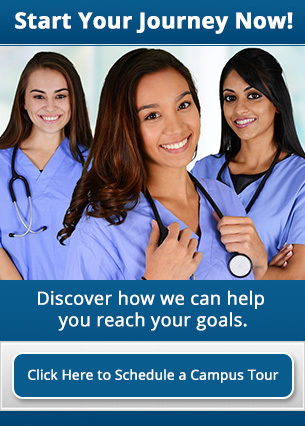 At Athena Career Center, you can train to become a Medical Assistant in less than a year. The Medical Assistant (MA) Program combines classroom training, lab skills, and an externship to teach students the skills necessary for employment in the modern medical field. Contact Athena Career Academy today at (419) 329-4075 to be on your way to a great career as a medical assistant.